Hushcloth® Black Perforated Leatherette Headliner (BP) and Hushcloth® Sandpiper Perforated Leatherette (SP) Faced Foams combine the absorption properties of Hushcloth® foam with the toughness and durability of vinyl. 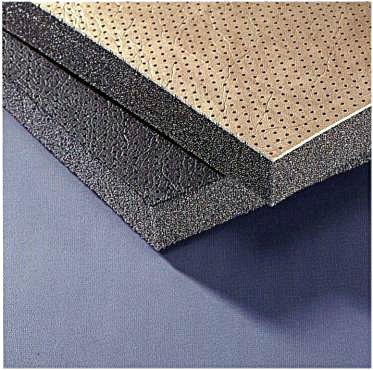 The perforation pattern has been engineered to provide maximum absorption and resilience with 14% open area. The attractive leather like appearance makes it ideal for vehicle interiors, marine headliners, and enclosures. Also available in grey.